I hit 50 Parks (56 courses) this weekend! Can I push it to 60 by years end? How close are you to 60? 38 courses and counting. Next weekend I am hoping to add about 5 or 6 courses in Dallas!!! 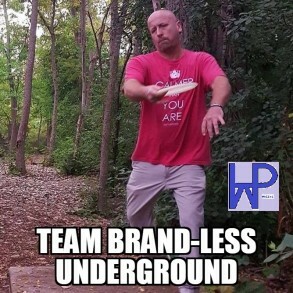 Looking forward to a week of disc golf, Friday Night Random Draw Doubles at the Gulch, Saturday the MVP Circuit Series at Lakeshore, Monday the Freedom Flight at Ottawa Park in Toledo & Vienna Park in Temperance and then the Thursday the Play in Round at the Tobaggon Course for Amateur Nationals!! Pretty excited to play Rosedale in KC tomorrow!!! Down Under Course even!! 4 nights of leagues with 2 to choose from Wednesday........gonna be a good Summer. Looking forward to league at the Gulch tonight!!!! I passed that along. His name is Steve Oksienik. He is on my list if you want to reach out directly. He said he would CONSIDER which seems odd since it was his offer. Paulie!! I'll see you this weekend!!! Yo if your busy is still looking to get rid of that grip let me know and if he is looking for a different bag let me know!!! He is definately lloking to get rid of it. I doubt he will get a differnt one since he still has a smaller bag he carries. I was wrong. No on plastic but he IS looking for a smaller bag. He said 5 to 6 discs but I think most are 10 at the smallest unless he wants a nutsac. would be be interested in a fade tourney bag with Phoenix quad shocks and some cash?? he would like to know how much cash? so my bag and straps and maybe 100$$?? Had a good time at the "No Foolin'" Tournament this weekend. Danger Dave beat me by ONE stroke!! I will get you next time Dave! Congrats on the ace today man! Had a good time at the Birdie Bash in Hamburg. It was cold but we made it work. Had a blast at Mystic Hills this weekend. Good times. Looking forward to the completion of the new Hamburg course!!! I can WALK THERE!